I am Valerie Murphy, the Recreation Program Coordinator. I have been an employee with Cranberry Township for seven years, working in a variety of roles with the Parks and Recreation Department, including the Before and After School Kid’s Club program as well as the Community Waterpark. I graduated in 2010 with a Bachelor’s Degree in K-12 Health and Physical Education from Slippery Rock University. Before coming to Cranberry Township I taught part-time for two private schools and was involved in various roles at the local YMCAs. Our goal is to help children to become independent, self-confident, curious learners who can work well with others. We do this by creating purposeful and productive play experiences that help children grow in all areas. We are looking forward to another great year full of learning! I am Laura Wise, and I teach Pre-Kindergarten as well as 2 ½ year old preschool. This is my 8th year teaching for the Early Learning Center. I have a Bachelor of Science Degree in Speech/Language Pathology and a Master’s Degree in Deaf Education. Before becoming a pre-school teacher, I was an interpreter for the deaf; a Speech/Language Pathologist; a substitute teacher with the Seneca Valley School District; a private speech tutor; and a Mom. Currently, I am the Head Varsity Coach for the S.V. Cheer and Dance teams. A Township resident for 13 years, my husband Bob and I have three children, Megan, Sean, and Katie. Megan is a senior at Clarion University, Sean is a sophomore at Slippery Rock and Katie is a sophomore at IUP. In addition to teaching and coaching, I enjoy running, reading, and spending time with family and friends. 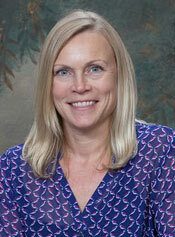 I am Carol Crunick, and I teach 3 and 4 year old Preschool at the Early Learning Center. This is my fourth year with the Center, where I have worked as a preschool aide in the past. I have a degree in Elementary Education from Indiana University of Pennsylvania and prior teaching experiences in preschool, elementary, and middle school levels, as well as directing after school programs. My family has lived in Cranberry for 15 years. Our son Jack is a sophomore at IUP, studying to be a teacher. Our daughter Olivia is a sophomore at SV, where she cheers for the JV squad. In my free time I enjoy swimming, traveling with my family, and playing with our three cats! My name is Susan Dlouhy. My husband and I moved to Cranberry Township in January 2016. I have over 25 years of experience working with children, in a variety of roles. I have 2 children of my own ages 21, and 23. In my free time I love reading, the ocean, chocolate, as well as taking my three dogs on walks! I grew up on the beaches of Massachusetts, but have lived all over. I look forward to getting to know your children! I am Jenn Steele, a lead teacher in my fourth year with the Early Learning Center. I have a degree in Elementary/Special Education from Slippery Rock University as well as a Master’s in Educational Leadership from George Mason University. I taught elementary school in Virginia for seven years before returning to Cranberry with my husband Ryan, my 5-year old son Matthew, 2-year old daughter Delaney, and our dog Holly. In my free time, I enjoy teaching art classes, hiking, camping, and going to amusement parks. I am Debbie Lucci, an assistant teacher in my eighth year teaching for the Early Learning Center. I have a management degree from West Virginia University. Previously, I worked as an instructor for various programs in the Parks and Recreation Department for four years. I have lived in Cranberry Township for 23 years with my husband and three daughters - Kailey, a nurse at Children's Hospital ; Meghan, a Junior at Edinboro; and Emma, a Senior at Seneca Valley. In my free time I enjoy reading and spending time with family. My name is Kristin Watt and I am an aide for the 3 and 4 year old preschool class. I have a degree in Psychology from Kent State University and have spent the last 3 years working as a preschool teacher's aide in Erie, Pennsylvania. My family and I just moved to Cranberry this past June. My husband, Eric and I have been married for 9 years and we have an awesome 8 year old son, named Kian, who is a third grader at Haine Elementary. In my free time, I enjoy baking and crafting things I find on Pinterest and exploring Pittsburgh with my family. I'm so very excited to be a part of the Early Learning Center Team! Hello, my name is Pam Kuhn. This will be my first year working with the Early Learning Center. I have lived in Cranberry Township for 28 years. Prior to having my family, I worked as a registered nurse at a hospital in Pittsburgh. After taking time off from my nursing career to raise my family, I realized how much I missed having little ones around. At that time, I was fortunate to join the Cranberry Township Playcenter to care for our community’s children. I have been there for 18+ years. I am excited to join the Early Learning Center to be with the children in a more formal educational setting. I have also been an active volunteer at The Caring Place, a center for grieving children, for the last 15 years. My husband Rick and I love spending time with our 3 adult children, their spouses and our seven grandchildren. I also love animals, reading and traveling. I’m looking forward to a wonderful year with your children. Hello my name is Cathy Dowler. This is my second year with The Early Learning Center. My husband and I have lived in Cranberry Township for 3 ½ years. I have a Bachelor’s degree in Elementary Education and a Master’s degree in Early Childhood education. My husband and I grew up in West Virginia and attended WVU. I have had several years of teaching experience in a variety of situations. We have three great children and a daughter-in-law that we love to go visit. In my spare time I enjoy walking, cooking, reading and ice cream! It is a joy to watch and guide these sweet children as they grow and learn. I am thrilled to be part of such a wonderful preschool program! Hello, my name is Melissa Pindroh and I am so very excited to be part of such a wonderful preschool program! This is my second year as an assistant teacher with the Early Learning Center. I have a Bachelor’s degree in Elementary Education (K-6) and a Middle Level Reading and Language Arts Degree from Edinboro University of PA. I have taught students in preschool, elementary, and middle school levels within the greater Pittsburgh area. I also am a substitute teacher in several area school districts in my spare time. I have lived in Cranberry Township for forty years and graduated from Seneca Valley High School as well as all of our grown children. In my spare time, I teach skiing and snowboarding at the Community College. I love the ocean, reading, camping, swimming, skiing, cheering on Pittsburgh sport teams and travelling with my husband, Gerry, and family. I am truly looking forward to getting to know you and your children this year!